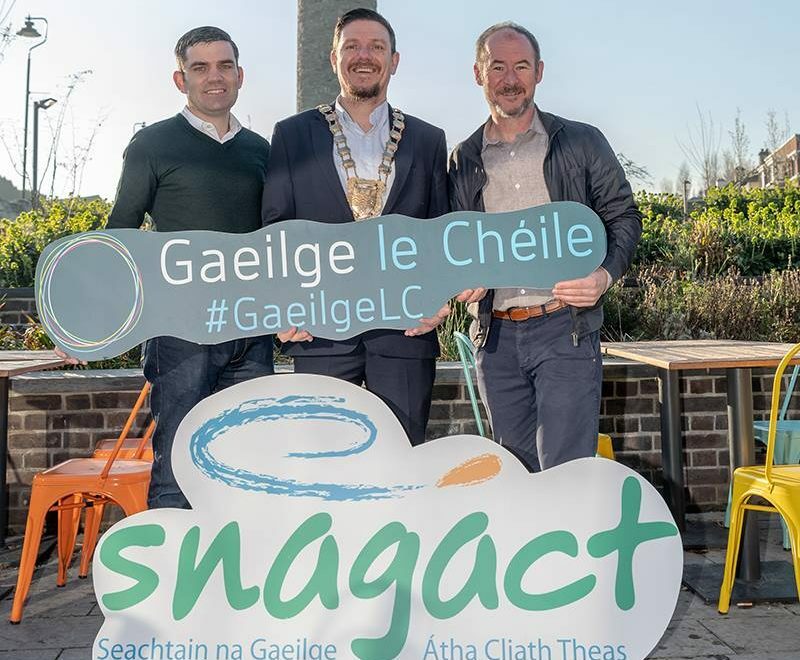 South Dublin County Council and South Dublin Library Services in partnership with Áras Chrónáin are delighted to bring you this year’s Seachtain na Gaeilge Átha Cliath Theas (SnaGÁCT). This year in particular is a unique year for our beautiful language within South Dublin County. We are very proud to see our own Clondalkin Village going forward for official recognition and status as a ‘Líonra Gaeilge’ (Irish Language Network). Keep an eye out for the awareness campaign surrounding ‘Líonra Gaeilge’. The fáinne / circle has been chosen as a logo for the national campaign as it represents communities working together – le chéile. The aim of the campaign is to promote the use of Irish through Gaeilge le Chéile – three simple steps, to use Irish Everyday, Everywhere, with Everyone. SnaGÁCT was launched officially this week by Mayor of South Dublin County Council, Cllr Mark Ward. The programme will run from 1– 17 March. This year’s wonderful calendar has over 120 events including a special concert by Kila, St. Patrick’s Day Céilí, Pop – Up Gaeltacht, workshops in the libraries, traditional music sessions, and many other entertaining events, most of which are free of charge.